Welcome to Pennington Mobility Shop. We have a retail shop in Pennington, near Lymington, Hampshire, on the edge of the beautiful New Forest. Specialising in living aids and mobility products we have a very well stocked shop with a great range of products available. Established in 2009, we are a family-run business serving the needs of the community in Lymington, Hampshire and the surrounding areas. 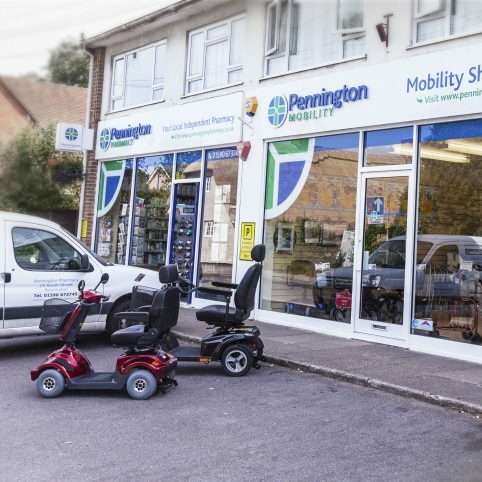 Pennington Mobility Shop is the natural partner business of Pennington Pharmacy, located right next door, which we have owned and run since November 2002 (although the pharmacy has been there since 1963!). From cups to cushions, walking stick to wheelchairs, we sell hundreds of the latest living and mobility products in store and online at competitive prices. 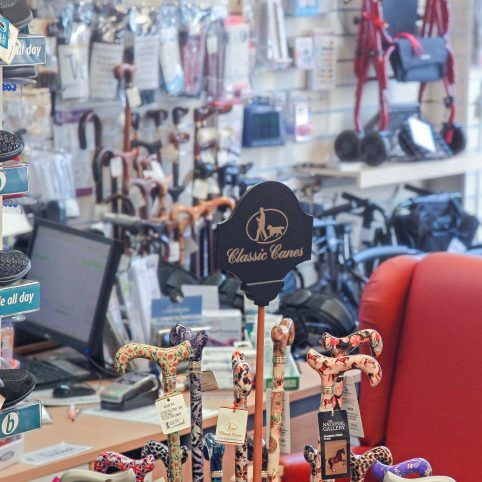 We pride ourselves on our personal service and some larger items such as scooters and chairs currently can only be bought in store – where our knowledgeable and friendly team will be on hand to understand your exact requirements and needs. So whether you wish to browse our extensive product range online or would welcome some face-to-face advice in a well-stocked shop, we’re here to help. Our shop is open from Monday to Friday 9am to 5pm and Saturday 9am to 1pm. Free customer parking is available in front of Pennington Mobility Shop and Pennington Pharmacy. Call us on 01590 672900 or send us message via our contact page.